The Oregon Trail is a classic piece of educational software created by the Minnesota Educational Computing Consortium (MECC) in 1974 to teach children about American westward expansion. For many kids of the 1980s and 1990s, The Oregon Trail is considered the definitive school computer lab classic. In the game, the player makes crucial decisions for their virtual party of travelers as they navigate from Independence, Missouri to a new life in the Oregon Country in 1848. Managing supplies, choosing routes, grappling with disease, and balancing risk versus reward are all part of the simulation. Recently, the original classic computer game has been ported to a handheld making it accessible to a whole new generation of would-be travelers. 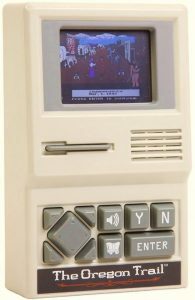 Players in the 21st century can use what looks like a mini Apple II (the computer of choice for many schools in the 1980s) to guide their 19th century American family to a new life out west. Since their rise to fame in the 1950s, the interlocking plastic bricks have expanded their brand to include movies, clothing, video games, and more. 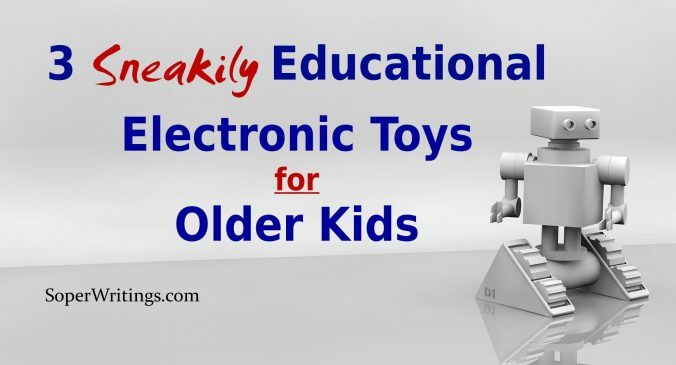 Included in this growth have been numerous education-focused initiatives designed to help teach kids about concepts like engineering, physics, simple machines, and robotics. As the STEM movement continues to gain popularity and concepts like makerspaces become more commonplace in both homes and schools, Lego has positioned themselves as big players on the cutting edge when it comes to providing creatively engaging combinations of tools and toys. 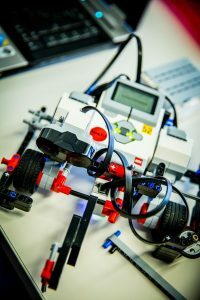 Mindstorms is the robotics-focused arm of the Lego brand that utilizes a combination of basic positional programming, servo motors, as well as touch and IR sensors to allow users to make creations that come to life in exciting ways. Simple Machines/Technic/Dacta sets are part Lego, part Erector Set. There are a variety of available components including gears, pulleys, motors, and pneumatics that allow for the creation of plastic engineering marvels. WeDo 2.0 is essentially the elementary-targeted version of the Lego education sets. Its simplistic designs and user-friendly phone/tablet companion app make creation and basic programming both easy and engaging for younger would-be engineers or older kids just getting started. With all of these products, standard Lego bricks, figures, and accessories can be added on for even more customization options. Kids can try their hands at core STEM skills through play and experimentation without even realizing they are doing it! a Teddy Ruxpin Amazon Alexa. While not a toy (per se), the Raspberry pi is affordable, durable, and supported by a huge online community of creators and tinkerers at the ready to help turn ideas into reality. 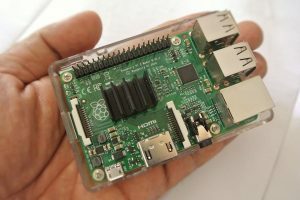 If diving into the Raspberry Pi ecosystem without a net seems a bit daunting, consider kits like the Kano kit that come prepackaged with different kid-friendly accessories and project ideas to get things started. Learning doesn’t have to be a dish best served boring. Finding ways to draw kids into learning in sneaky ways can turn play time into educational time.